Camping apps are a great resource when you are out there in the wilderness. 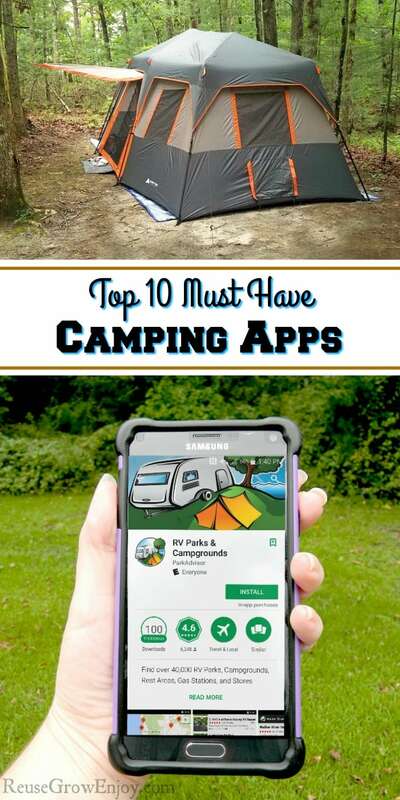 I am going to share the top 10 must have camping apps to check before you go! Camping is a thrilling experience and every year, millions of people around the world and in the US go out to enjoy this adventure. Summer and fall are the best seasons for camping for most people. However, before you decide to venture out into the woods, you need to be well prepared if you want to have an easy, stress-free and enjoyable time. This can be easily achieved by following the information that you can find in some of these must-have camping apps. Some people just decide to pack up and go camping without a good plan laid out. This could turn out either great or terribly horrible. 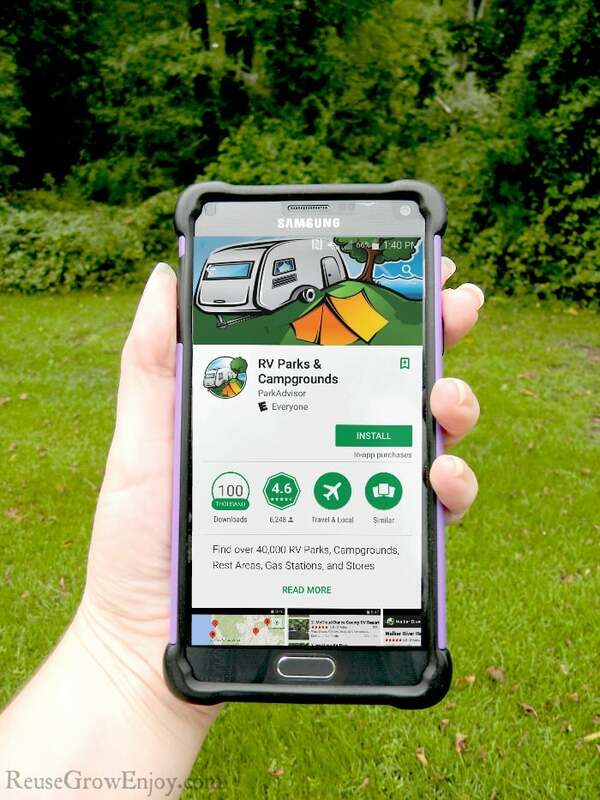 If you do not want to take chances or are seeking to go out with your family, particularly in an RV, you might find this app pretty useful. It will be possible for you to find a place to camp. Some campgrounds do not allow RV and while others allow, the terrain may not be conducive for these RVs. Find places that allow RV camping. You can also find other normal and regular campgrounds on this app as well. It will also note the social amenities the camp has. There’s nothing stressful as being lost in the woods without a sense of direction and without a way out. This app makes it easy for you to explore dense and wild places without worrying about getting lost. You can download maps and use them offline in the application. You will need to eat and drink while camping. It is always advisable to carry your own meals. Do not rely on some rabbit that you are thinking of hunting for your dinner. This app will help you plan out your meal for your camping. You just need to tell the app how long you will last, the ingredients and possibly your favorites. It will create a great meal plan for your time in the woods. This is for the people who love camping the primitive way. It contains all the great outdoors campgrounds in the USA, complete with maps and reviews. With over 21,000 sites featured on this app, you have access to tons of information. This is a great app for campers and those taking road trips. In most cases, people combine the two activities, which makes this app an absolute thrill. Find restaurants, parks, gas stations and much more. What is good camping without security? This app was developed to help people take care of emergencies and small issues such as bruises or burns while camping. It is a simple as the name suggests. It turns your phone into a flashlight by the tap of a button. It is a handy alternative and backup for your normal flashlight. During camping, there is just so much to learn and to do and sometimes we do not have time to process all this information. This app contains information on basically whatever you need to know when you are out there camping. This will allow you to reserve a camping spot right from home before you head out. It takes care of a real headache. It comes with other additionals such as maps, directions and even lives support. Weather is an important element to consider when camping and this app makes this a breeze. By offering you a comprehensive weather forecast, you can know exactly when and where to go camping. Looking for more camping tips? Here are some others to check out.